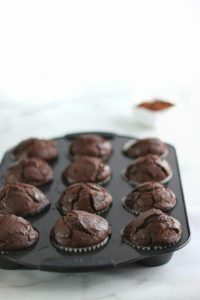 These Gluten Free Double Chocolate Muffins taste just as good as they smell. They’re rich , moist and loaded with Chocolaty Flavour. 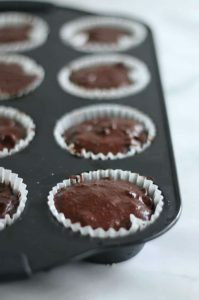 Like most muffins, they taste the best warm with a little bit of butter on top. 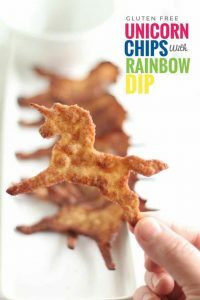 They are so quick and easy to make and the recipe only uses simple easy to find ingredients. 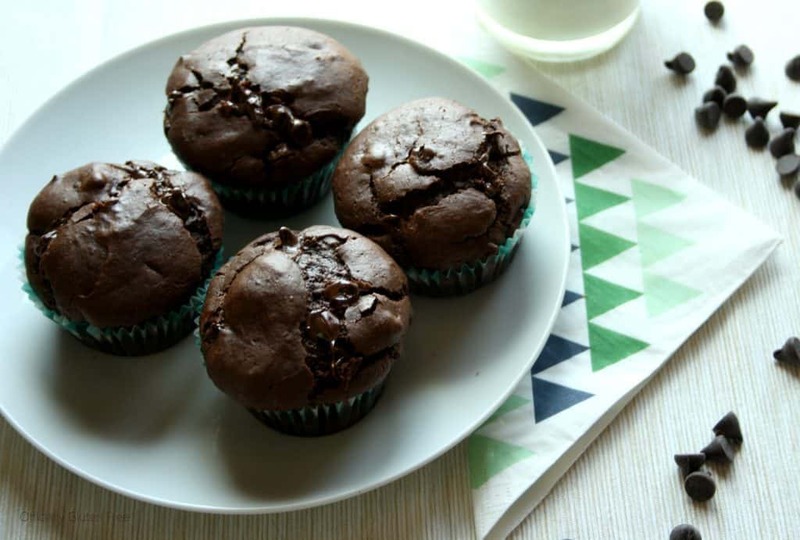 These Muffins are sure to satisfy any chocolate craving. 2. In a large mixing bowl, Beat the egg, then add the butter. Mix in the milk, then vanilla. 3. Stir in the sugar and mix well. Add the rice flour, potato starch, cocoa powder and baking powder. Mix until well combined. 4. Gently stir in the chocolate chips. Then spoon into lined or greased muffin tins. 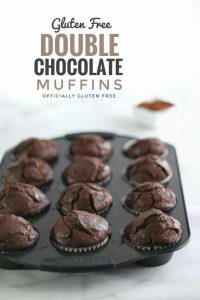 This recipe makes 12 Gluten Free Double Chocolate Muffins. In a large mixing bowl, Beat the egg, then add the butter. Mix in the milk, then vanilla. Stir in the sugar and mix well. Add the rice flour, potato starch, cocoa powder and baking powder. Mix until well combined. Gently stir in the chocolate chips. Then spoon into lined or greased muffin tins. 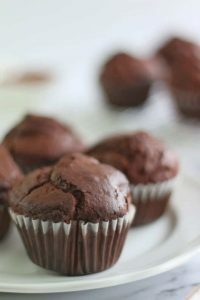 These look incredibly moist and chocolatey. Have you ever made them using a different starch like tapioca or arrowroot out of curiousity? Your muffins look rich and delicious! I haven’t had much success with gluten-free flour mixes, but I like the idea of using rice flour. Made these for the first time last week and they were so scrummy and moist, and the rice flour made a difference. With oil, egg and milk it all made for a moist cake. My chocolate chips sunk to the bottom so might put them on top before going in the oven!!!! Thank you, I will try it today. Do you have recipe for bread/toast using cornstarch/flour or rice flour as these what I find easily in my local market? I’ve made these once before and really enjoyed them! Can you tell me whether to use 1/2 cup potato starch or 1/4 cup? Both measurements are listed in the post. Thanks! 1/4 Cup. Thanks for pointing that out. I’ll fix it. Thank you for the heavenly recipe! The muffins are so moist and delicious. 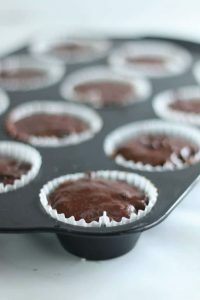 This is the only GF muffin recipe that works for me. I substitute some of the ingredients but it still tastes wonderful. Thanks again.